A few years ago, Aaron M. Davis, Florida Agency Network CEO and former Plant City Rotary Club President, had a goal of equipping each patrol car in the Plant City Police Department with Automated External Defibrillators (AED) in an effort to assist in medical emergencies. This goal was completed last year, and the effort is paying off. 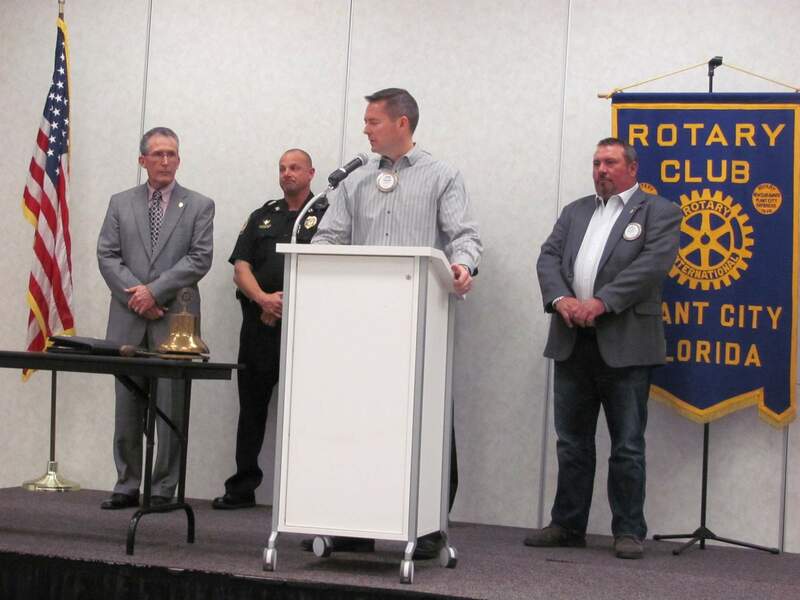 Last week, the PC Rotary Club was informed that one of the AEDs installed in a patrol car aided in saving the life of a 46 year-old man who had gone into cardiac arrest. According to Captain Rodriguez of Plant City Fire Rescue, the PCPD Officers were able to provide “exceptional care to the patient utilizing their AED and hands on cardiopulmonary resuscitation.” The PCPD Officers on the scene provided the patient with shocks in order to stabilize him until the Plant City Fire Rescue were able to get to the scene. Since delivering the first units in 2013, the Rotary has donated a total of 47 units, which have been used at least 5 times now. “I am so thankful to everyone who helped the Rotary achieve this goal. I hope the AED units continue to assist more PCPD Officers in saving the lives of those in this great community,” said Davis. Yes, the rumors are true! News of the Florida Agency Network’s SOC 1/SOC 2 compliance examination, and future expansion plans, is circulating around town. An Industry News feature in The Title Report goes over the exciting news FAN has announced lately. Click here to read the article on The Title Report website. Earlier this month, the Florida Agency Network announced plans to invest $5.18 million into expanding its corporate headquarters currently located in Plant City. Florida Agency Network CEO, Aaron M. Davis, spoke with the Plant City Economic Development Corporation to go into depth on why the Network plans to stay in Plant City, the future of the title insurance industry and Davis’s vision for the future of FAN. To read more on the Florida Agency Network’s expansion plans, click here. The news about FAN’s expansion in Plant City, Fla. is buzzing around the bay area. With a plan to invest $5.1 million, the Florida Agency Network is sticking to the company’s roots and hopes to share a role in the economic development of Plant City. When it comes to the upcoming CFPB changes, Aaron M. Davis, Florida Agency Network’s founder and CEO, is the man to speak with. Davis gave Jeremy Yohe, of American Land Title Association, his insight into the upcoming market changes in ALTA’s January edition of TitleNews. In the cover story, Davis goes into detail on the new RESPA-TILA disclosures and how to excel in these changing times. Tampa, Fla.-based Florida Agency Network introduced Mike LaRosa as its new chief operating officer. In 1999, LaRosa began his title insurance career as associate counsel at First American Title’s divisional headquarters in Tallahassee. By 2000, he moved to Tampa to work with the partnership division, where he was promoted to vice president and counsel. He spent six years in the that role establishing affiliated business arrangement title agencies with mortgage, builder/developer and real estate professionals throughout the Southeast. LaRosa was named Tampa Bay agency manager in 2007. His territory eventually expanded to include the southwest region of Florida. Ultimately, he was promoted to Florida state agency manager where he has spent the past three and a half years. For the original feature, click here.